On October 25th the ATJA and AJJF entered into a bilateral agreement to allow both organizations to attend each other’s events on their individual organizational cards. This puts the AJJF, ATJA and USA Judo (National Governing Body, NGB, in the US for Judo) in a working relationship. As you may know, the AJJF and USA Judo entered into a similar agreement on July 12th of this year. Some classes and events are restricted between the two organizations, but local, state, regional and some national events are open between them. 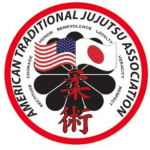 As an AJJF registrant, you can now attend ATJA events using your AJJF card and qualifying USA Judo events, as well. There is no need to sign up with their organization to attend. 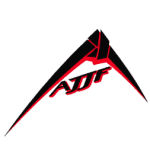 The AJJF Temporary Registration is still available for those who are not in an AJJF recognized organization (USA Judo, ATJA or AJJF) to attend an AJJF event. The ATJA has two divisions within their organization: Jujutsu and Judo. The Jujutsu side is a modern system of recognition for those individuals who are not style specific. The Judo side is based in traditional Kodokan Judo. At an AJJF Sanctioned event, ATJA members are welcomed at no additional cost to attend. This allows them to attend on their card and insurance. The reverse is true as well. If there is an ATJA sanction in place, there would be no cost to an AJJF registrant. If there was an injury, the claim would be to the claimant’s organization. The paperwork for that organization would have to be filled out and submitted for review. Our hope is to promote interaction between organizations, expanding our Ohana and therefore more numbers, friendship and possibilities for attending events.